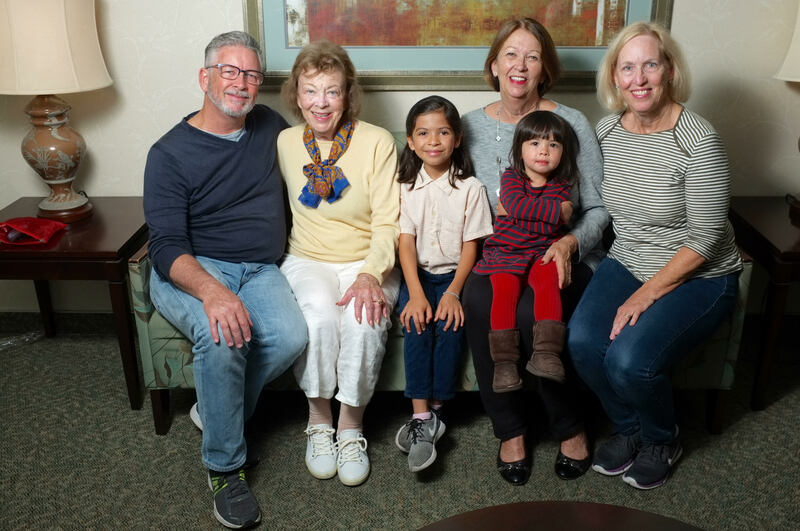 Even though her daughter and grandchildren live hundreds of miles away in the Bay Area, 66-year-old Long Beach resident Melinda Wells can still feel close to them, thanks to today’s technology. Several times a week, Wells is on FaceTime with daughter Julia Moran, 36, or Moran’s two children, ages 3 and 5, trading emails about recipes and making plans for Thanksgiving. For everyone involved, technology brings them together. For today’s families, technology is an extension of how they communicate, especially across generations. According to a 2015 report from Ericsson ConsumerLab, which surveyed more than 1,005 parents and children in-person and online across the United States, having “continuous contact throughout the day with other family members increases the feeling of closeness and happiness,” adding that most claim they communicate more and know each other better with the help of technology. Wells’ 64-year-old brother Gregory Koppel and his wife Lisa, are both deaf and depend on digital technology — especially the ability to text their friends and family — to communicate near and far. The Long Beach couple said smartphones, in particular, have made a huge positive difference in their lives, especially in communicating with their children and grandchildren, and they’ve welcomed the digital-age with open arms. One of his four children, 31-year-old Ashley Hopkins of Long Beach, said being able to send a quick text or hear her parents and see them use sign language in video conferences has kept the whole family better connected. But although Hopkins and her father are able to communicate easier today thanks to technology, the digital-age’s opportunities aren’t easy for everyone to adjust to, especially for the eldest in the family. In Long Beach, where 16 percent of households that lack internet access, a larger percentage of senior citizens are disconnected than younger generations. About 76.5 percent of seniors ages 65 and older are connected, compared to 87.8 percent of adults ages 18 to 64, according to a census survey. 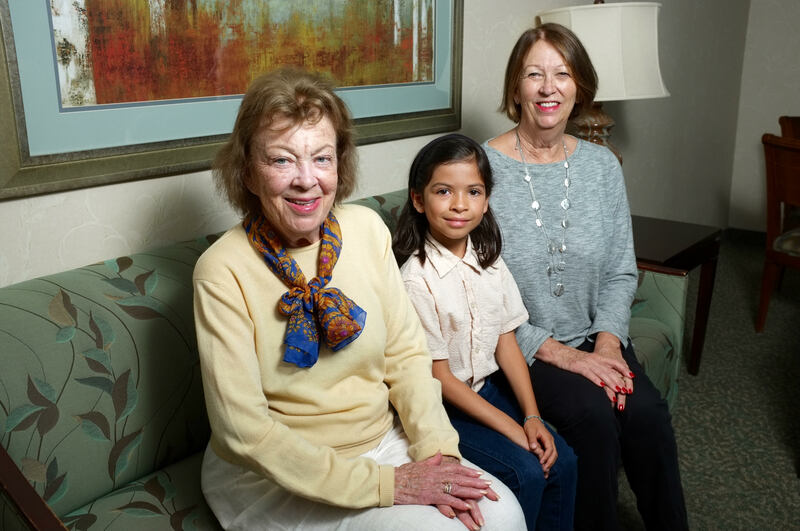 Wells’ 89-year-old mother, Harriet Koppel, said she sometimes yearns for simpler days. Koppel has resisted some modern-day advancements and relies on family members to help her with services that have gone paperless — from online banking to purchasing airline tickets to seeing digital photos of her grandchildren and great-grandchildren. 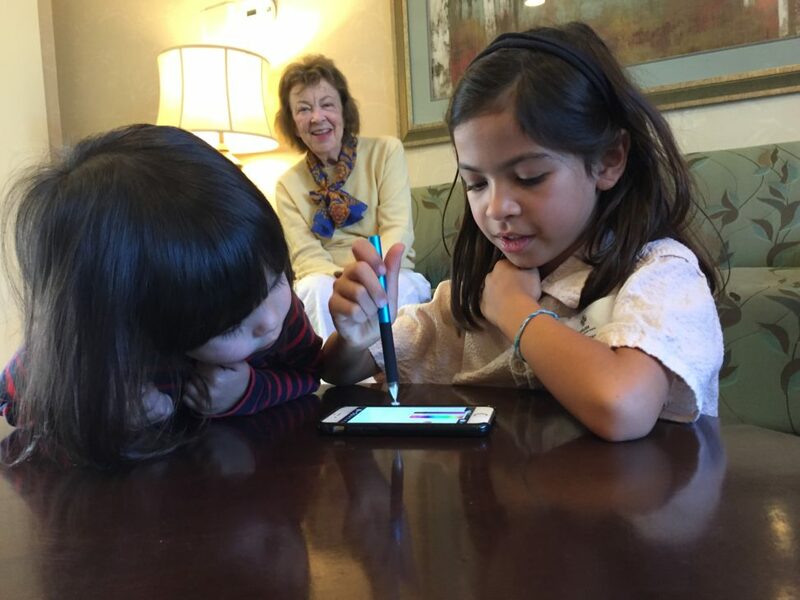 Although her great-grandchildren Poppy and Juniper Wells, ages 8 and 2 respectively, enjoy showing Koppel their artwork online, Koppel prefers to see the originals. And to Koppel, phones are still meant for talking. She acknowledges, though, that not having access to the computer or internet does prevent her from being able to enjoy some of the things younger generations of her family are able to, from video chatting to GPS navigation to shopping online. Koppel said she still enjoys receiving mail, knowing her favorite bank teller’s name and reading four printed newspapers every day. She’s determined to stay active socially, playing bridge and getting together with friends — making those visits in person instead of video chatting. Although Koppel emphasized that she gets by just fine in the digital-age, she does sometimes feel frustrated and left out, Wells said. After the Emmy Awards, Wells said her mother was disappointed reading the newspaper’s list of winners. Koppel couldn’t watch some of the online-only streaming shows without having an internet connection. To some degree, it’s impossible to catch up, even for tech-savvy Wells, who said she has kept up better than most of her peers but still feels outpaced by her children and grandchildren. A retired college professor, Well said has to keep adapting in a world where something as simple as signing up for a magazine subscription, making a dinner reservation or booking an airline ticket has to be done online. Thankfully, the increasingly intuitive nature of smartphones is allowing more and more seniors entry into the digital age, if only in moderation, North said.